Election 2019: A day before voting for the Lok Sabha election starts, campaigning reached a crescendo as Prime Minister Narendra Modi and Congress chief Rahul Gandhi addressed several rallies. Samajwadi Party chief Akhilesh Yadav criticised the Election Commission for using a picture of Army jawans to promote voting, which contradicts the poll panel's directive to political parties and leaders to refrain from using the Army and soldiers. Prashant Kishor takes a jibe at Andhra Pradesh CM Chandrababu Naidu in Twitter. Bhim Army To Support Congress, NCP in MH | Bhim Army Chief Chandrashekhar Azad Ravan has announced his party's support to Congress, NCP, RPI (K), Swabhimani Shetkari Sangathan & People's Republican party, in Maharashtra, news agency ANI reported. Amit Shah Accuses Akshay Yadav, Shivpal Yadav of Spreading Rumours | Hitting out at SP-BSP alliance candidate Akshay Yadav and PSP(L) founder Shivpal Yadav, BJP chief Amit Shah on Wednesday said the uncle-nephew (chacha-bhatija) duo were trying to spread rumours. Speaking at an election rally here, Shah said, "Uncle-nephew are trying to spread rumours. Family-oriented (parivaarwaadi) parties thought Uttar Pradesh politics was their fiefdom. Sometimes they field their brother, sometimes their sons. They have not done any good to UP, and it is the BJP government, which has brought back the state on the path of development." Andhra Pradesh chief minister and TDP chief Nara Chandrababu Naidu will cast his vote on Thursday at 7:30am at Mandal Parishat School, Undavalli. Former Jawaharlal Students’ Union leader Kanhaiya Kumar, who is contesting from Begusarai as a candidate of the Communist Party of India (CPI), has declared a humble figure of Rs. 8.5 lakh as his annual income in last two years. Kumar also mentions that he is unemployed. The affidavit includes the five cases against him during his tenure as president of JNU students union. Akhilesh Yadav Slams EC | Former UP chief minister Akhilesh Yadav today slammed the EC for using pictures of army personnel on a poll awareness poster. We welcome EC ban on NaMo TV and movie. The Income Tax Department conducted a search on April in Vijayawada at the premises of Gurappa Naidu, a Cost Accountant for DP MP Galla Jayadev. Information was received on toll-free-number that cash was kept at the residence of Gurappa Naidu which was to be used in elections. During the search, Rs 45.4 lakh cash was seized. I-T Teams Raids YSRCP MP's Home | I-T raids currently underway at the residence of YSRCP MP candidate from Guntur parliamentary constituency, Modugula Venugopala Reddy. AAP-Congress Alliance | Aam Admi Party MP Sanjay Singh on an alliance with Congress: "In Punjab, we have 4 MPs and 20 MLAs, and the Congress doesn’t want to share seats there. The same situation is in Haryana, Goa and Chandigarh. In Delhi, where they don’t have any MLA or MP, they are demanding 3 seats. So, this alliance is not possible." AP Chief Minister Chandra Babu Naidu playing with his grandson Devansh after completing an election campaign. Bharatiya Janata Party MP from Ranchi Lok Sabha seat, Ramtahal Chaudhary has resigned from the party. Chaudhary says he will contest as an Independent candidate. This resignation comes after the BJP had announced Jharkhand Khadi Gramodyog Board Chairman Sanjay Seth as its candidate from Ranchi. Congress candidate from Sivagangai Karti Chidambaram in a sarcastic tweet took a jibe at the raids conducted by the Income Tax Department. Karnataka Congress files a complaint against PM Narendra Modi to the EC for politicising the Defence Forces. @INCKarnataka files a complaint against @narendramodi to the ECI for politicising the Defence Forces & using the Airstrikes & martyrdom of CRPF jawans to woo voters. Bereft of issues, Modi is stooping to new lows. Chattisgarh DGP DM Awasthy told CNN News18 that a security cover of 30000 personnel has been deployed for peaceful polling during the Lok Sabha elections in Naxal-hit Bastar. Is Mamata in RSS Core Committee: Congress | Senior Congress leader Adhir Ranjan Chowdhury today mocked West Bengal Chief Minister Mamata Banerjee saying she is a core committee member of the RSS and has compromised with the BJP in the state. Banerjee is saying she would not support Prime Minister Narendra Modi but she has to come clean on whether or not she would support the BJP if someone else is selected as the prime ministerial candidate by the BJP, Chowdhury said. Ninety-one Lok Sabha constituencies spread across 18 states and two UTs, including all in Andhra Pradesh and Telangana, will go to polls tomorrow in the first phase, with Nitin Gadkari, Kiren Rijiju and VK Singh among several Union ministers in the fray. Former Rajasthan CM Vasundhara Raje's backing Hudla's candidature and the long tussle over the seat, looks like yet another instance of friction between BJP's central command and state unit. BJP Violated Poll Code With Press Conference: BJD | The Biju Janata Dal in Odisha has filed a complaint with the EC against the BJP and OdishaTV, which is owned by Baijayant Jay Panda, for violating the Model Code of Conduct by holding a press conference in the 'silent period' when no campaigning is to be conducted and live telecasting the same. PM Modi Violated Poll Code with Biopic: Surjewala | Congress national spokesperson Randeep Singh Surjewala took to Twitter to slam PM Modi's on violating the model code of conduct. "Election Commission’s decision staying ‘Modi Biopic’ is an affirmation that none less than PM of India, Shri Modi was complicit in violating the Model Code of Conduct. Since EC’s order also applies to ‘NaMo TV’ it is now up to the EC to ensure that it is also shut down," he said. Chief Election Commissioner Sunil Arora reaches out to voters before the first phase of voting begins for the Lok Sabha elections tomorrow. Congress national spokesperson Priyanka Chaturvedi slammed BJP's Smriti Irani on her missing nomination affidavit from the EC website. 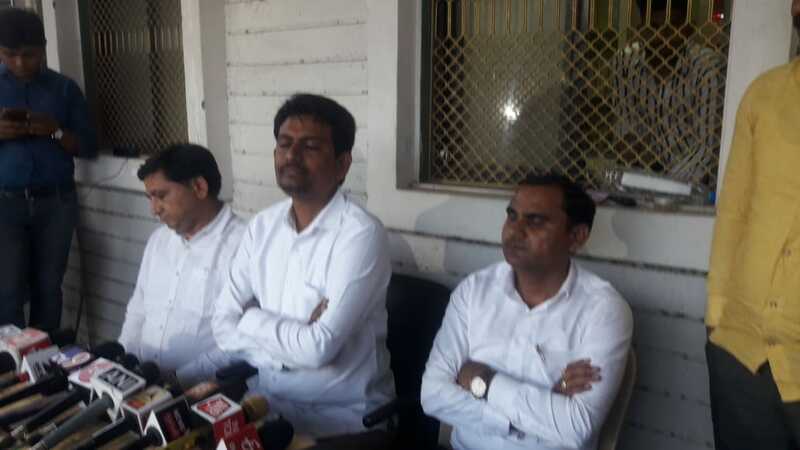 MLA Alpesh Thakor, MLA Dhavalsinh Thakor and MLA Bharatji Thakor resigned from the Congress today. "For past one year, my supporters and I have been disrespected in the party. I am not joining the BJP. I will never join them," he said. BJP national president Amit Shah will visit Tripura tomorrow and address a rally at Dharmanagar. PM Modi Worse Dictator Than Hitler: HD Kumaraswamy | Karnataka Chief Minister H D Kumaraswamy has called Prime Minister Narendra Modi "worse than Hitler" for the recent Income Tax (I-T) raids on his party men and a top I-T official seeking action against him, PTI reported. The Janata Dal (United) leader is apparently upset over the recent statewide I-T crackdown on his party men and others and the state Income Tax Commissioner's letter to the Election Commission (EC) seeking legal action against him and the Congress and JD(S) functionaries who protested against the action outside the I-T department here. "Modi is a dictator -- a man worse than Hitler. He is the worst prime minister who brought a bill to confiscate the personal properties of individuals," Kumaraswamy said. 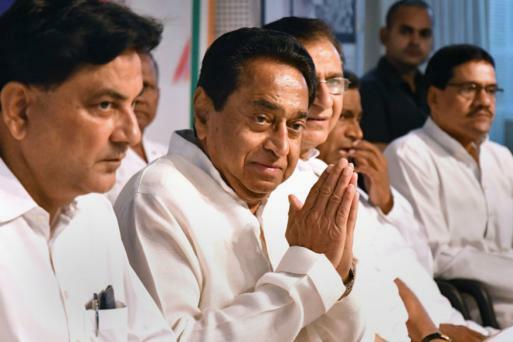 Kamal Nath submitted his nomination on Tuesday for Chhindwara assembly by-poll after the seat was vacated by his staunch loyalist, Deepak Saxena, so that the nine-time MP could get elected to the MP assembly. 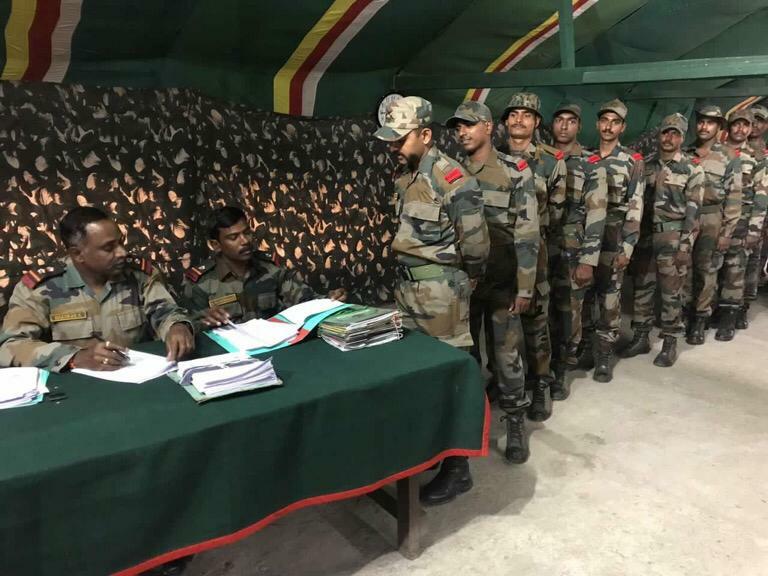 The serving personnel of the Indian Army deployed in Eastern Arunachal Pradesh, Upper Assam, Nagaland, Manipur, Mizoram and Tripura commenced exercising their voting rights for the Lok Sabha election 2019, in accordance to the guidelines issued by Election Commission. "Earlier only the uniforms of martyred Jawan's used to come back to their families. Atal Bihari Vajpayee changed this and introduced a new rule to bring back their mortal remains. But the Congress has insulted great leaders like George Fernandes and Atal ji who brought about these changes. They humiliated these people. This is an old habit of the Congress party. They did this with Manohar Parrikar as well," says Prime Minister Narendra Modi. "The Congress never expected that there will come a time, there will be chowkidar who will hunt their crimes from the chambers of hell," he says. Guntur YSRCP MP candidate Modhugula Venugopal Reddy. Modi, while addressing a rally in Goa, said the Congress wants to burden the middle class, which it sees as selfish. He also alleged Rahul Gandhi had lied about his meeting with late CM Manohar Parrikar, who was battling for his life. The Rafale case dominated the discourse after the Supreme Court said it would examine the ‘secret’ documents that were leaked from the defence ministry and rejected the Modi government’s objections. Defence minister Nirmala Sitharaman on Wednesday accused Congress chief Rahul Gandhi of gross contempt of court, saying he had attributed to the Supreme Court what it never said in its order on Rafale deal. Buoyed by the Supreme Court order allowing petitioners seeking a review of the Rafale judgment to rely on leaked documents, Gandhi has claimed the SC has made it clear that Prime Minister Narendra Modi committed a theft. Prime Minister Narendra Modi Wednesday slammed the Congress over its manifesto promise to repeal sedition law and reduce forces from Kashmir. The opposition party is trying to fulfil the demands of Pakistan, Modi said, adding the only "business of Pakistan is to export terror. “Are people who want to break the country into tukde-tukde (pieces) not anti-nationals?... Congress is now saying that they will repeal the sedition law. Can we expect this from a 125 year-old party?” Modi said at a rally in Gujarat. West Bengal chief minister Mamata Banerjee has vowed that her TMC will drive out the BJP from the country and help form the next government at the Centre. Speaking at a rally in North Dinajpur, Banerjee said this election is to ensure that Narendra Modi never becomes the PM of the country again. The Election Commission has banned the release of all biopics during election season, stalling the film on Prime Minister Narendra Modi’s life. The Opposition had complained to the poll body against the release of the Vivek Oberoi starrer, saying it was an attempt to influence voters ahead of the upcoming Lok Sabha elections. Congress chief Rahul Gandhi, who has been battling jibes from the Bharatiya Janata Party over his decision to also contest from Kerala’s Wayanad for the upcoming Lok Sabha elections, filed his nomination from his pocket borough Amethi today. Gandhi, who held a mega road show, was flanked by his sister and party’s eastern UP incharge Priyanka Gandhi Vadra, brother-in-law Robert Vadra and UPA chairperson Sonia Gandhi. He will head to Katihar in Bihar and Raiganj in West Bengal to carry forward the Congress’s campaign blitzkrieg. Meanwhile, Prime Minister Narendra Modi will address poll rallies in Gujarat’s Anand district as well as Junagarh and Songarh. He will also campaign in Goa where elections to two Lok Sabha seats and bypolls to three assembly seats will be held. 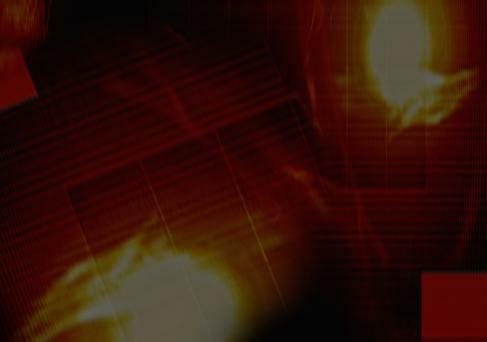 Modi, in an exclusive interview with News18, set the agenda for the 2019 elections, discussing a host of issues from Jammu and Kashmir, opposition alliance to China. In a crucial judgment ahead of Lok Sabha polls, the Supreme Court will give its order today on objections raised by the Centre on the use of government documents accessed without authorization to re-examine the Rafale deal. The Opposition has been attacking the Centre over the deal, accusing it of corruption. 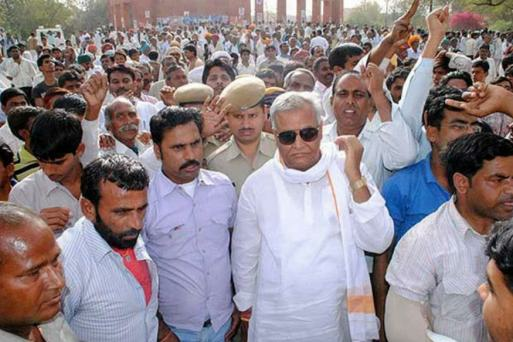 The court will also hear the bail plea of RJD patriarch Lalu Prasad. The CBI has opposed bail to the leader on the grounds that he is conducting political activities from a Ranchi hospital where he is undergoing treatment and is trying to mislead the court about his health condition in view of the upcoming elections. Further, the apex court will hear petitions challenging the electoral bond scheme.